Imagine this. You’re at the supermarket and you accidentally bump into your high school class president. It’s been a decade since you’ve graduated but it feels like so much more. You talk about everything, from personal lives to careers. You talk about mutual friends and class clowns and their current whereabouts, then it hits you. How about a reunion? Organizing a reunion is hard work. You need to get the word out there for everyone to come, not to mention the fact that you’ll still have to work on writing an agenda. 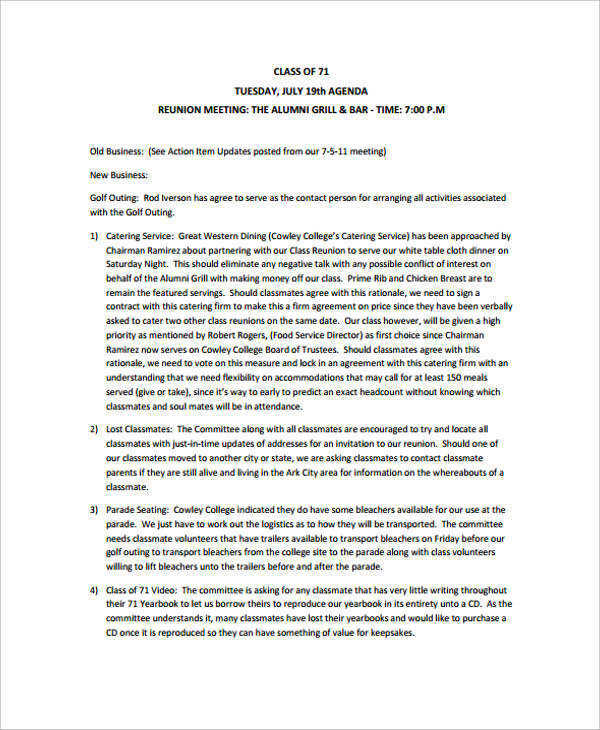 This is typically done through conducting meeting agendas with the committee responsible. 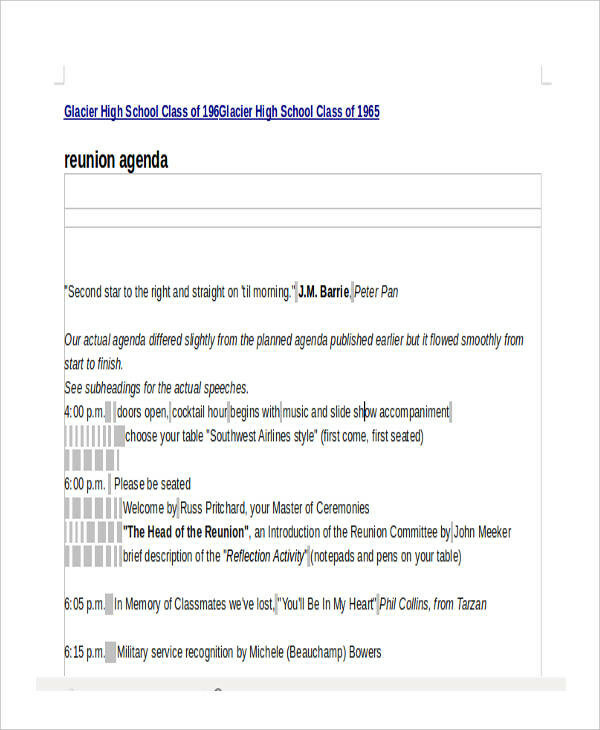 What Is a Reunion Agenda? 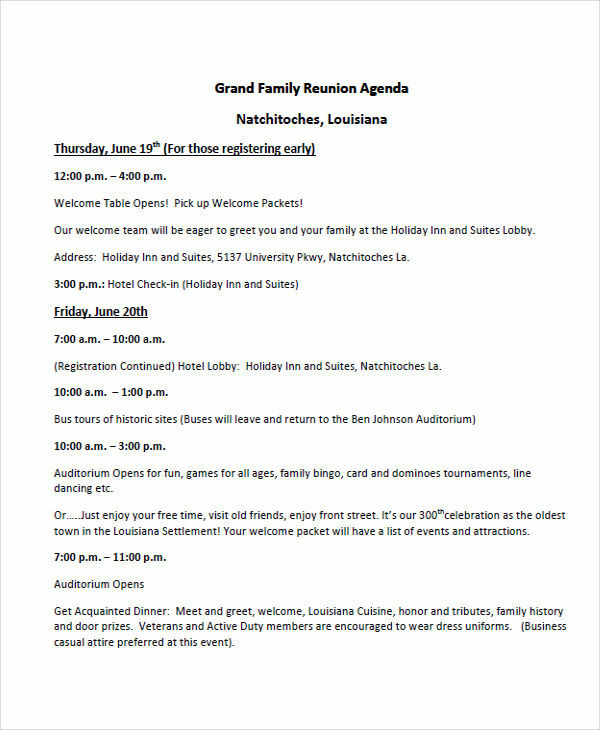 A reunion agenda is a type of agenda that is specially designed for a reunion. This could be for meetings conducted during the event planning period or an agenda for the actual day. Reunions are only made possible through the hard work and commitment of a committee. 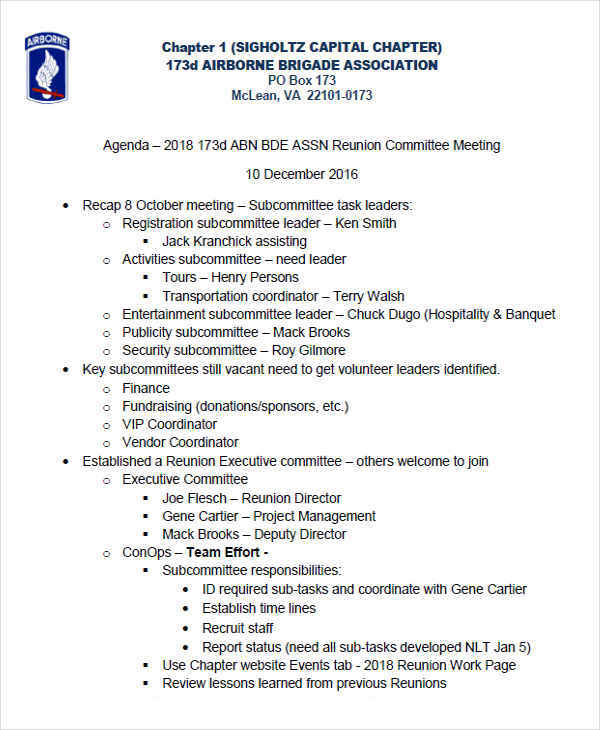 A committee agenda generally involves the planning of activities, performances, and the like. There are other agenda examples in PDF format that serve a similar purpose. 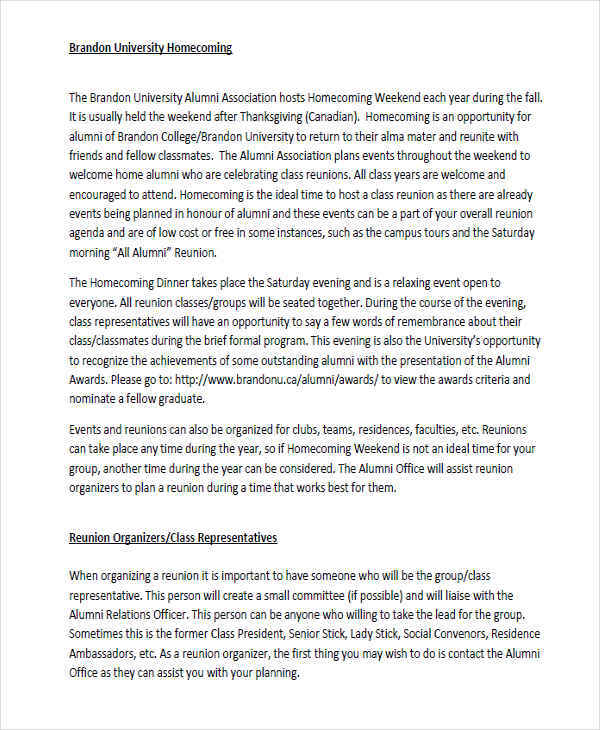 How to Prepare an Agenda for the First Class Reunion? The first class reunion is often the most grand and sentimental. It may be the first time you get to bond with familiar faces since the day you all went your separate ways. Planning your first class reunion isn’t too difficult as people have still managed to stay in touch with one another and memories are still fresh. To prepare for the reunion, you need an agenda of all the plans and ideas discussed during a meeting. It’s important to gather insights and suggestions from everyone, this would give you an idea on the event’s program. A program agenda must also be created separately for this matter. Form a committee. 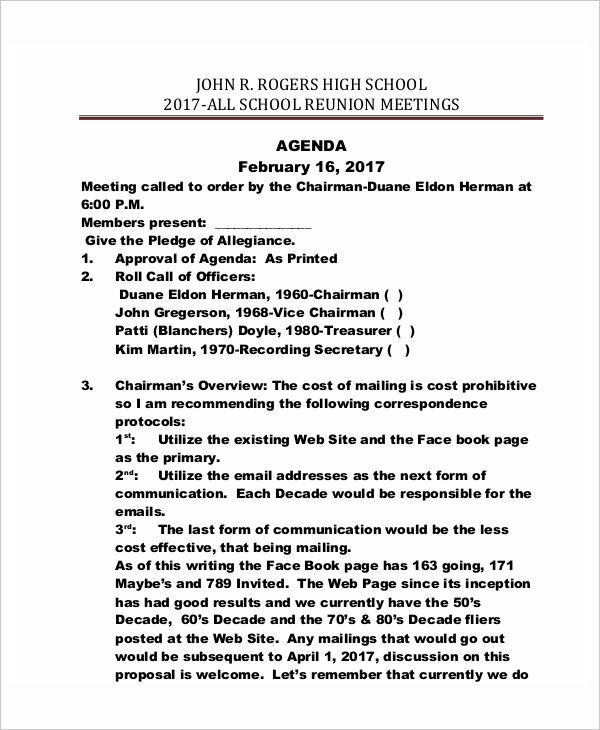 Anyone willing to help organize the reunion may be invited to join the committee. Gather and discuss ideas and suggestions from the members of the committee and other participants. Review the agenda to make sure there are no lapses and and misjudgments. Set meetings. 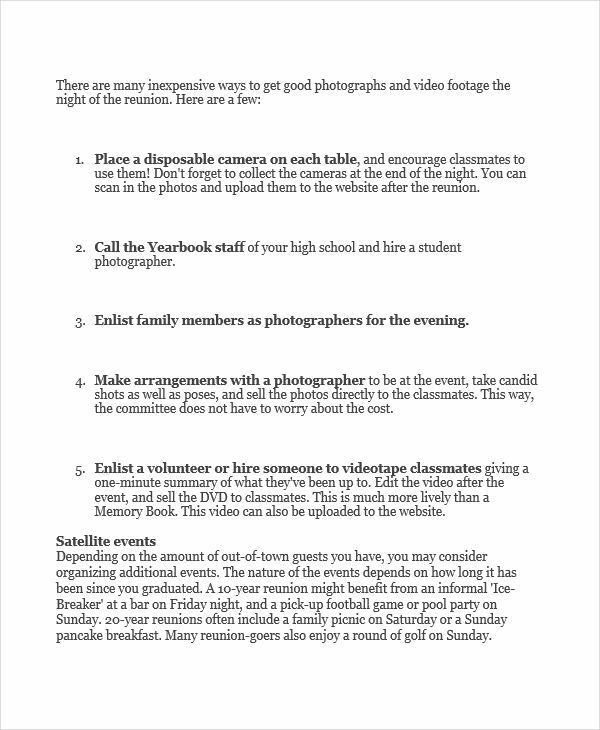 Meeting agendas may be necessary for you to properly plan a reunion. This would involve discussions on different aspects of the event. Through this, you’ll be able to organize an agenda for the reunion. Use the proper format in stating the flow. Organize activities accordingly and present important details clearly. Distribute the agenda before the day of the event. You’ll want to clarify things with your participants. By doing so, you can make necessary changes to points that don’t fit well with the majority. 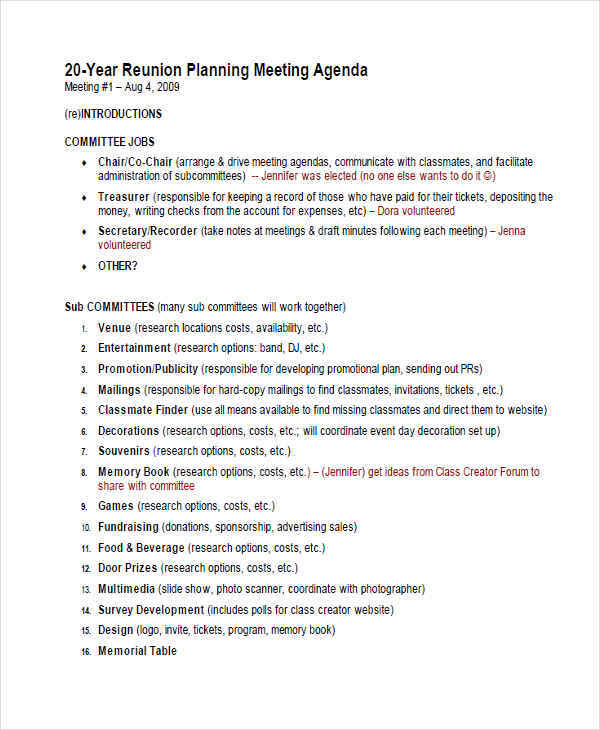 You can also refer to different free agenda examples to properly create your reunion agenda.